It's amazing what ten years can bring. 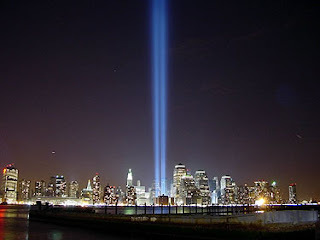 Ten years ago today, I was lying in a troubled slumber on the sofa of my house in Goshen. I had moved there just a few months ago with my husband, "CJ". I was in this troubled slumber on the sofa because he and I were in the midst of deciding whether or not we wanted to continue to make each other completely miserable for the rest of our lives because we'd been doing so for the past several years already and, to be honest, we hadn't really been happy since we were teenagers. I had this overwhelming sense of doom. I hated the house we were living in -- it was cold and blank and boxy. I hated the subdivision we were living in -- I didn't know any of our neighbors after all these months. I hated the town we were living in -- it was right on the Goshen/New Paris line, so I couldn't even get good pizza delivered, absolutely no night life, nothing fun happening anywhere, I couldn't find a job and I was sick of being home all the time doing nothing. I was lonely, I was gaining weight, I was sick with guilt for wanting a divorce but I thought it was the only thing that might give either of us some hope in our lives, some joy, some peace, some... something. I had taken to sleeping on the sofa because sleeping in the bed just felt like a lie. We had started off as friends, and that was the most important thing to me, but now we couldn't even BE friends. I lay there, night after night, unable to sleep. Two, three, four in the morning, I would put on CNN Headline News and turn it down low, just to hear someone talking, and I would sleep as best I could for as long as I could because sleep was the only thing that made the pain go away. People rarely called. I had auditioned for a theatre production and met one friend which was really nice. I could get used to the theatre life. If nothing else, it provided an escape from the house. On this particular morning, I didn't sleep until noon. The phone rang, pretty early, which was so out-of-the-ordinary, I almost didn't answer it because I assumed it was a wrong number. When I groggily grabbed it and mumbled my 'hlo', "CJ"'s voice on the other line was filled with what I'd always deemed his emergency tone. But this time, it really was an emergency. "Turn on the television. America is under attack." That's a word-for-word of the beginning of the conversation. The rest I don't remember, because my head is filled with the images of what I saw that morning. Ten years later, I don't want to turn on the television. I know I'm going to, and I know I have to, and I know it's important for historical purposes, and I know we must not forget, and I know that our children need to know. But it places me at a time where I already thought my whole world was going to end and, when I saw the television that morning, I knew I was right. But then, I thought that EVERYONE'S world was ending. You see, I can't do it. I can't express what I felt, or what I feel now, about these attacks. I can only see images and feel my gut wrenching inside of me. I can only remember my new friend, and how she had just moved here from New York, and how she knew people that were there... still there... and the look on her face when we talked about what was going on. I can only remember the students I had at the time, as an English teacher, and how their assignment that week was to write an essay about anything they wanted -- a simple assignment, but they ALL returned an essay about the attacks. I can remember the tears, the betrayal, the hurt, the dismal faces, the disillusionment of millions of Americans who'd spent their lives thinking we were safe, and insulated, and #1. The feeling that you have when you've puffed yourself up to watch a game, and then your favorite teams loses. The feeling that you have when you search for a week for your missing dog and then find his body on the side of the road. The feeling you have in a nightmare when the bad guy is right on top of you about to murder you, and you can't move, you can't scream, you can't breathe. It's like all of that, all at once. Something else we cannot forget, however, is the heroism that came from that time. Out of the ashes of destruction and disillusionment came this force of nature that rose above any and all evils that had occurred. Men and women putting others before themselves. People filled with such love and compassion and honor that they would, instead of fleeing from the site of the terror, go at it with full force, throwing 'good judgment' behind, and doing what needed to be done to save as many lives as they could. Such love is a wonder. Such heroism is beyond comprehension. How many of us could have done the same? How many of us were cooped up in our comfortable homes thanking God it wasn't us out there? But it was us, wasn't it? It's us every single day. It's us every time we walk by someone in need of help and don't help. It's us when we make a decision whether to lay aside what is comfortable in order to do what is right. When they continue to tell us "Never Forget", don't just take it literally. Of course we should never forget that we were attacked, or that we are not iron-clad. We should never allow ourselves to live in the illusion that we are safe. But, at the same time, take it as a euphemism for DOING THE RIGHT THING. Never forget that loving others is more important than our own well-being. Never forget that doing what is right isn't easy, but it's what should be done at all costs. Never forget that while it seems the whole world is ending, hope rises from the ashes. Ten years ago, I met two people. I met Stephen Salisbury and Amberly Hershberger. In the midst of my own personal tragedy, the smoldering wreckage that was my life, the divorce, the disillusionment, the fear, the "end of the world as we know it"... these people helped me through it. One of them gave me a place to live and a friendship that will survive anything and everything. The other gave me a new last name, a family, a home, and a love that will never die.